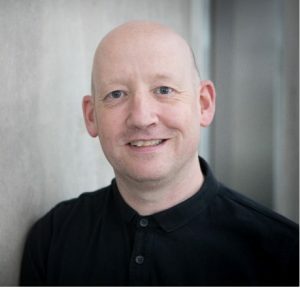 Experienced journalist and PR professional Simon Donohue has joined Marketing Manchester in the newly created role of Manchester Content Curator. Supporting Greater Manchester’s global ambitions, Simon will develop a strategy to capture and tell the best stories that the city region has to share. The role is funded by the Greater Manchester Local Enterprise Partnership. The role supports Manchester’s ongoing ambition to be a top 20 global city by 2035, as stated in the Greater Manchester Internationalisation Strategy. A key component of the strategy is to create engaging content which helps to change perceptions of Manchester, recognise the city’s world-class areas of excellence and showcase it as an innovative, diverse and international city. As well as creating and managing new content, Simon will develop partnerships with Greater Manchester organisations and facilitate collaboration on content demonstrating the business, culture and lifestyle benefits of being based within the city region. Simon joins from Manchester-based public relations consultancy Intelligent Conversation, where he worked as a Senior Consultant and Head of Content. He previously worked in a number of editorial roles with the Manchester Evening News and MEN Media, where he latterly served as the MEN’s deputy business editor and editor of Greater Manchester Business Week.